If you had a simple software program that could organize all the information you have on your clients and that could keep track of class attendance, instructor schedules and subscription payments, would you invest in it? now to keep your fitness business running. But, are these things helping your gym or fitness business run well? What if you could get software made specifically for use in your industry? There is such a software available and it is called Coacha. This is the software made for sports teams, gyms, fitness studios and personal trainers. With just one database, you can organize your clients’ contact information, payment details, emergency numbers, attendance records and even your business’s finances. The software can take on virtually unlimited information and data as it is connected to its own Cloud. You can have your software implemented in a matter of minutes and get your business associates and instructors trained in how to use it right away. This software is made to keep all the information you need organized at the touch of a few buttons. You can access it from a computer, tablet or Smartphone. See class schedules, class payments, teacher schedules and team member information in an instant. Give Coacha software a try. It is free for 30 days which is more than enough time to see how its features can help your gym or other fitness business get organized and run more smoothly than ever. With the free trial, you can even upload your entire member list to see just how easy it will make running your business. One of the best features is that it can include instructor notes as well as notes about clients or sports team members. Find out in a matter of seconds which child has an allergy or recent injury no matter who is coaching or teaching that day. This software can literally help save your valued team members or clients from serious injuries or harm. Do you have team uniforms that need to be collected or given out? Coacha can keep track of this too. Have your fitness trainers ever confused their schedule with someone else’s resulting in embarrassment or a loss of money? 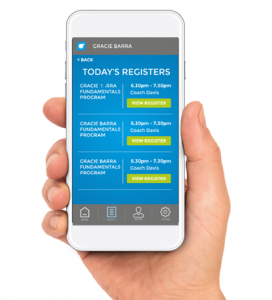 Schedule conflicts are a thing of the past with Coacha software, take a look for yourself at coacha.co.uk/ and see how beneficial it really is. Best of all, you can securely keep all your class payment information and subscription details at hand in a safe and secure place. You can make sure everyone is paid up for a particular session or sell class packages and know who has purchased them or who still has a balance outstanding with Coacha. This software was developed for any personal trainer or for an entire gym. Sports teams also find that Coacha makes organizing important information so much easier to do day after day. If you are looking for software to help you organize your gym business, Coacha can help.